As soon as I know I got a day off, I quickly make a call to Valley View Bungalow. A place where I KIV-ed if we are ever going to do a trip there. We stumble upon this place by reading few blogs about it and also recommendation from pooch owners who made a trip there. Mr. William is very nice and his wife too (which I didn’t get her name). 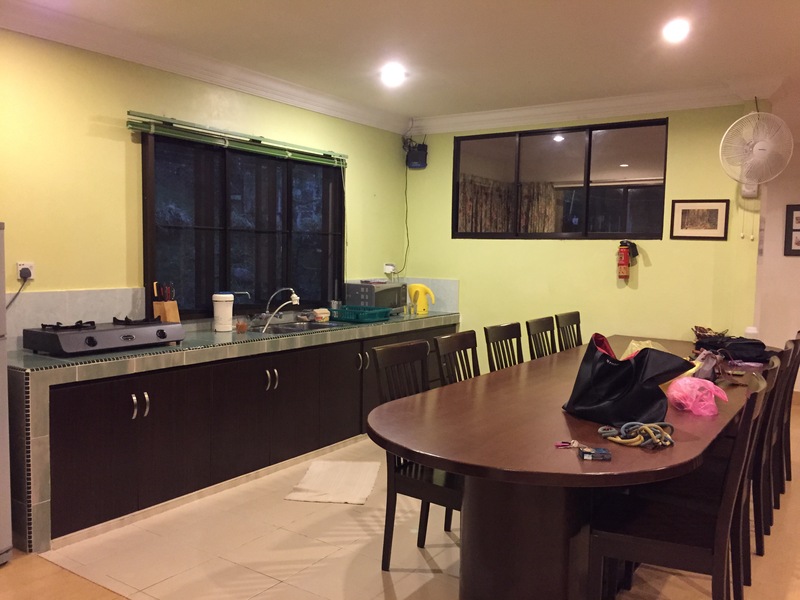 The bungalow is very well kept and clean. 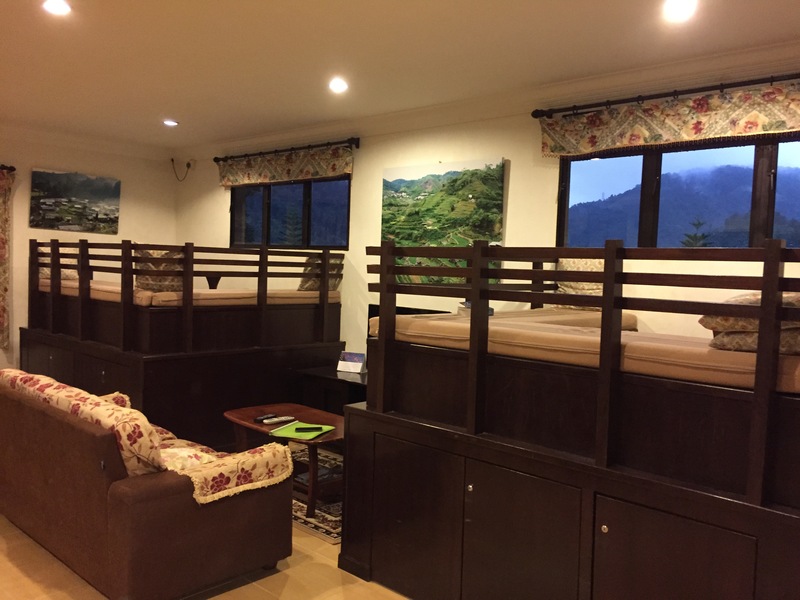 We booked the whole of upstairs bungalow where it had 2 rooms with queen sized bed and washroom, a living hall, and a fully equipped kitchen. When I say fully equipped, I really meant it as having microwave, toaster, rice cooker, gas stove and all the other cooking utensils. 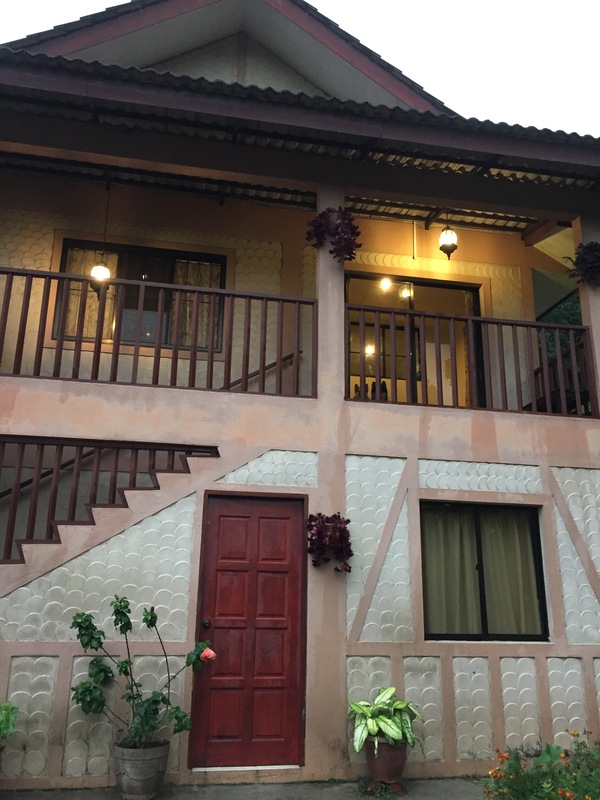 Outside the bungalow, has its own patio to sit and chill, and a garden with BBQ stove. 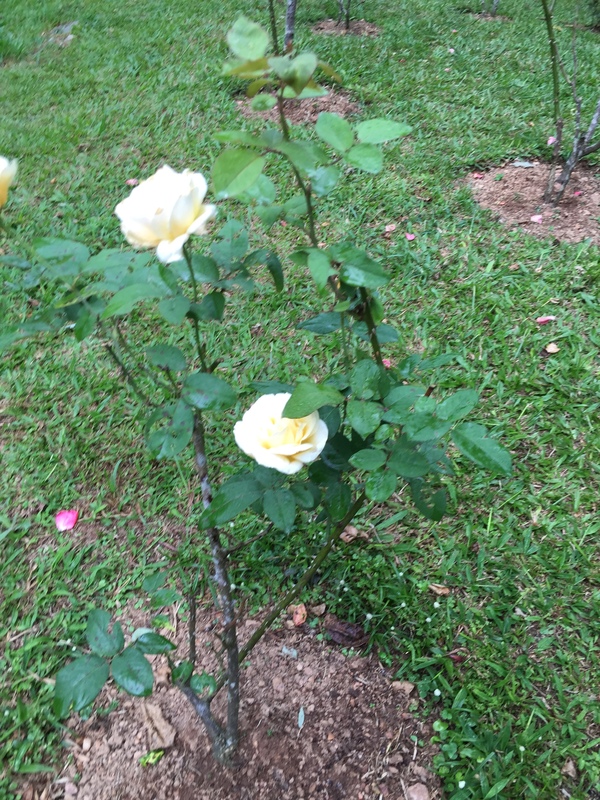 It is a nice stroll along the bungalow estate because it’s planted with very nice flowers around and even roses. The smell of roses will take over your house in the morning and the birds chirping just right by your room window. Two of our monster can’t stop sniffing every corner of the estate. For doggy lovers, Mr William have a pack of dogs of their own too! 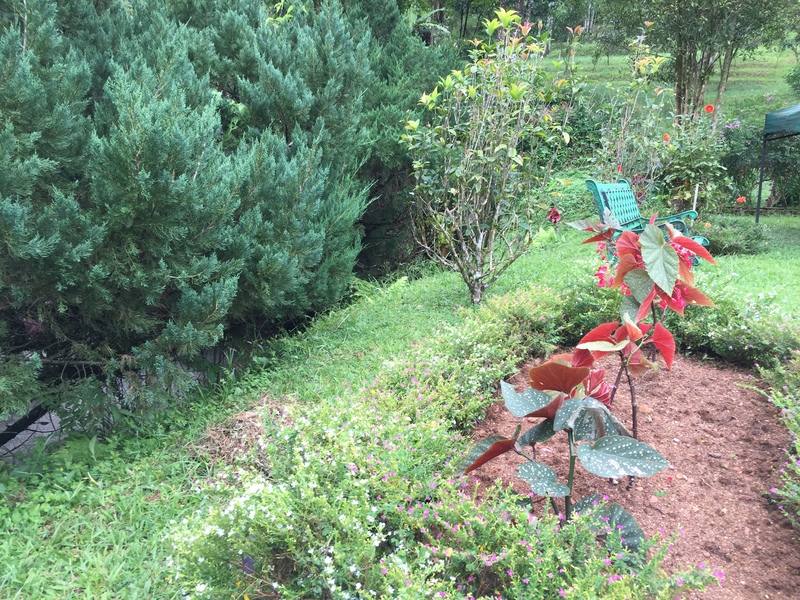 The location of this bungalow is between Tanah Rata and Ringlet. For more information, you can check out their blog / website. We had our first meal at Mayflower Steamboat restaurant. We settled down and we were hungry and with two dogs. There were no markets around as we were residing near Tanah Rata. 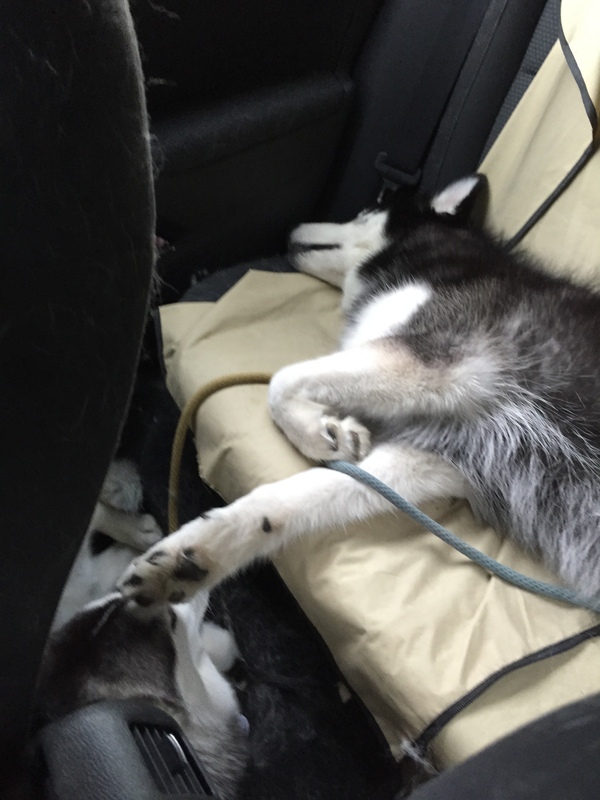 We thought to put our dogs inside the car with windows open as the weather is cool and breezy. Then we stumble upon this steamboat restaurant and we ask if we can bring our two medium sized husky down for a lunch? The owner said yes! We did and then we attracted a lot of people. We were too hungry to take any picture at that time. While we were eating, a few locals passed by and talked to us about dogs and husky and also who in the locals are dog breeders as well and suggested some place for us to visit. 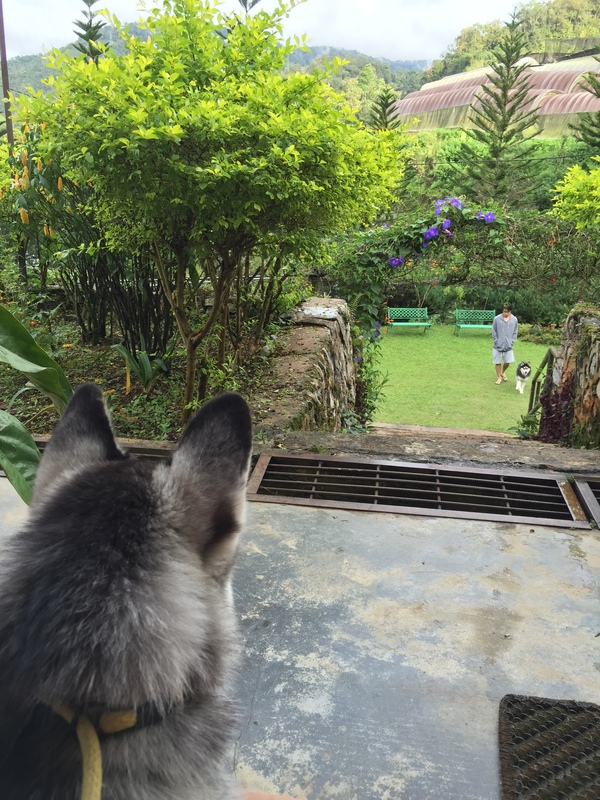 Thus we concluded, the locals (chinese mostly) are very pet friendly. (picture is taken from Google, since I did not snap any picture). 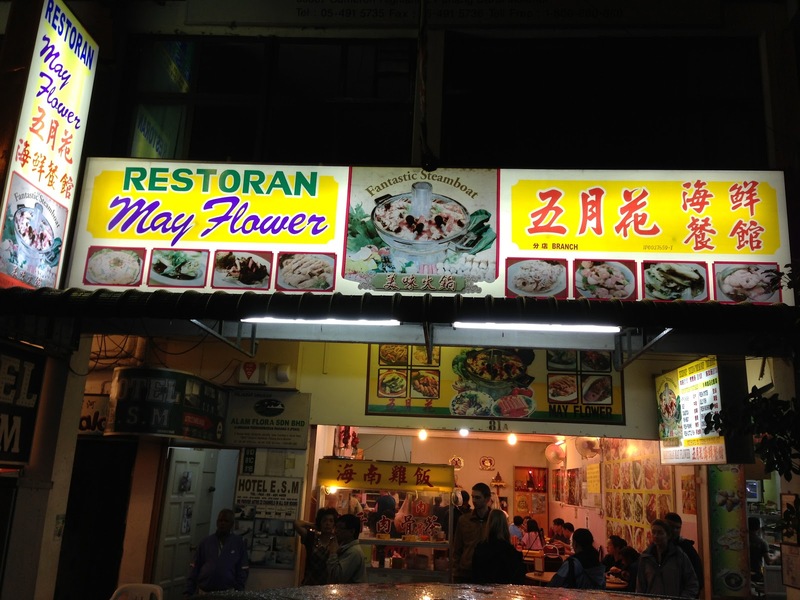 Recommended in this place is their steamboat, bak kut teh and chicken rice :). Their location is at Tanah Rata, the same area as Maybank is. 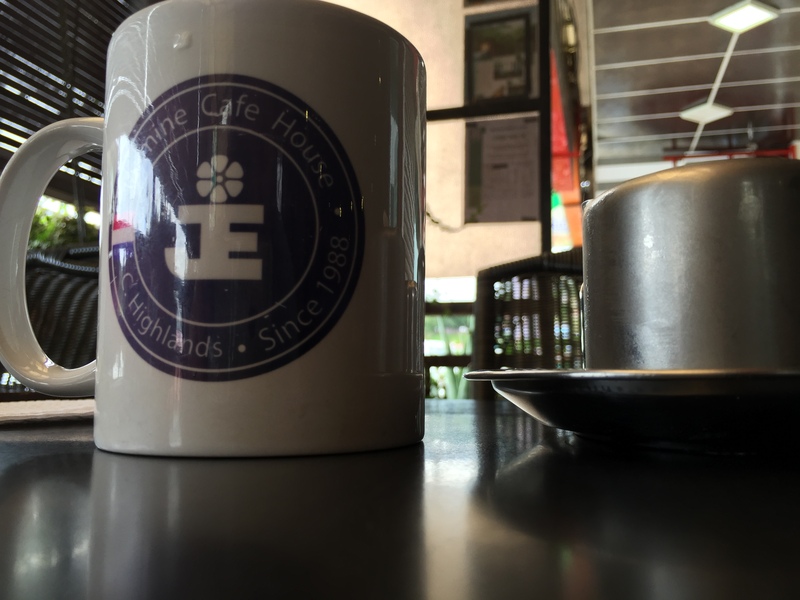 Mr. William suggested us to go to Jasmine cafe if we’re bringing our dogs. 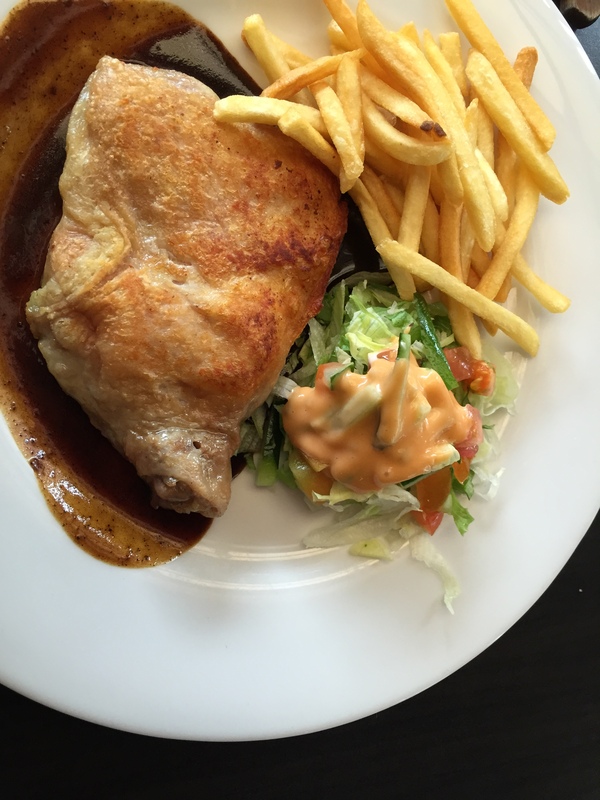 So we did for next day’s lunch. The 1st time we went the day before, the outside area was full and we aren’t able to try. So the next day we made a call before we go to reserve a spot for ourselves. The owner breeds toy dogs (not sure what) but he’s a dog crazy himself. Cloudy sniffed him and were OK with him, so i think he’s a nice person. LOL. Anyway, they served fusion food, western and chinese. 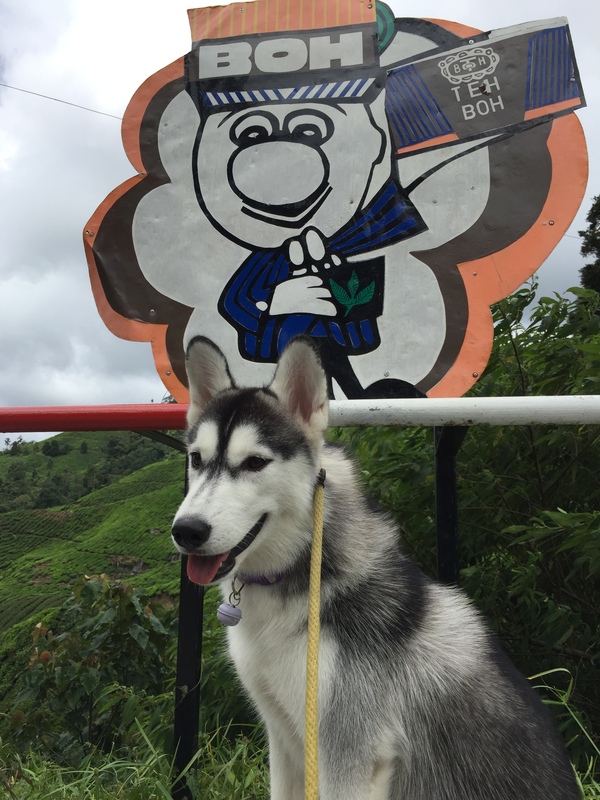 The price is on the high side for cameron highlands, but is not too bad as the taste is good and they allow your pooch. 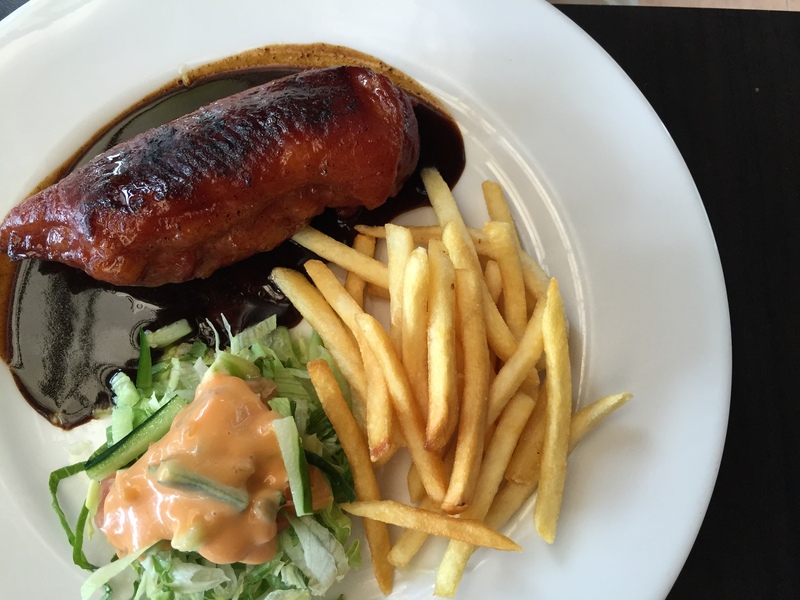 Try the grill duck… RM28, and is recommended! I do suggest you call and make a booking before you visit. The place can be quite pack for lunch time. They served food all day, so you can go there for breakfast, lunch and dinner. Oh, they served alcohols too. They are also located at Tanah Rata. If you’re coming up from Ringlet, they’ll be on your left of the 1st row of shops at the far end corner. If you’re coming from Brinchang, then they’ll be on your right at the last row of shops (heading to convent school). For breakfast, we decided to stay in. Initially we bought some cereals and milk for breakfast but I woke up early as 7am and decided that I should walk to the opposite and see what I can find. After all the air is so fresh in the morning. The flowers were blooming and the birds were chirping. What’s not to walk for just a short distance. Just right outside our bungalow and turn to the right corner and you will see a small store ‘Sinar Pagi’ just slightly off the roadside. 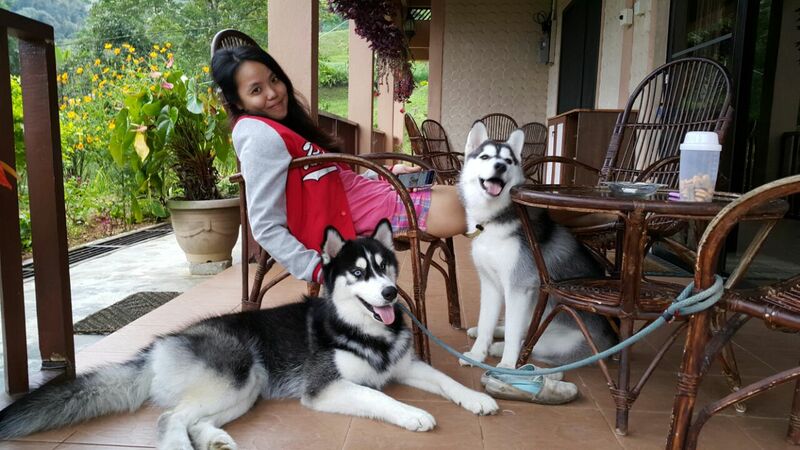 They are no dog’s allowed because is a Malay owner and cook. But anyway, is so nearby, so just bungkus boleh-lah. 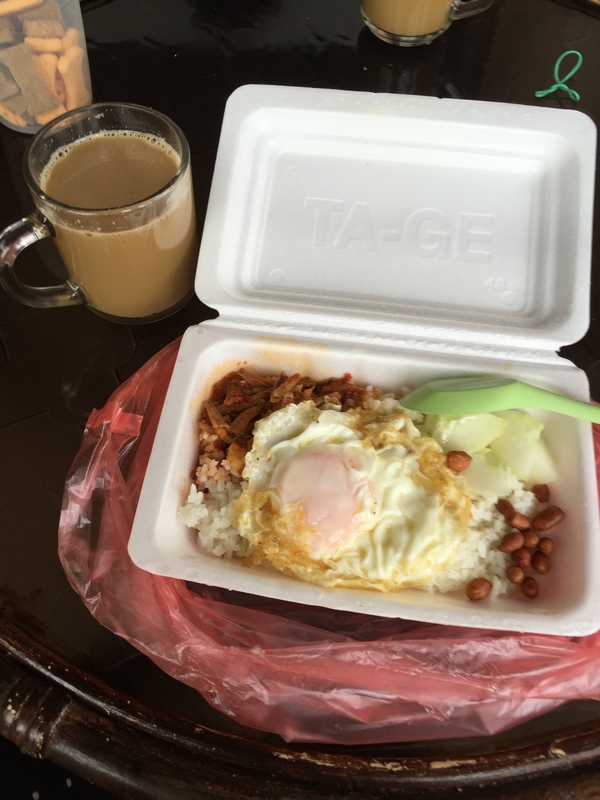 We ordered 2 nasi lemak with egg and brought it back to our bungalow, sat and eat at the patio in the morning with a cup of coffee. 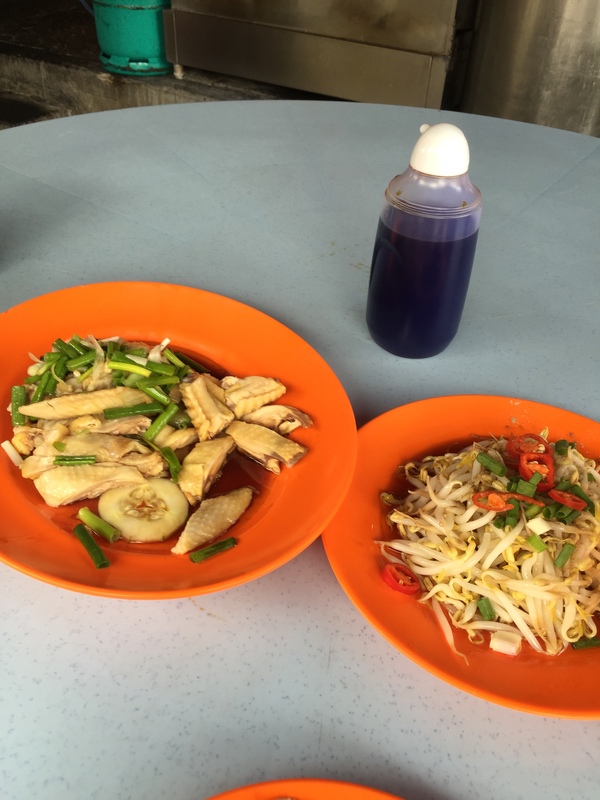 They also serve bihun goreng, mee goreng, and etc. So you know you won’t get hungry for breakfast! 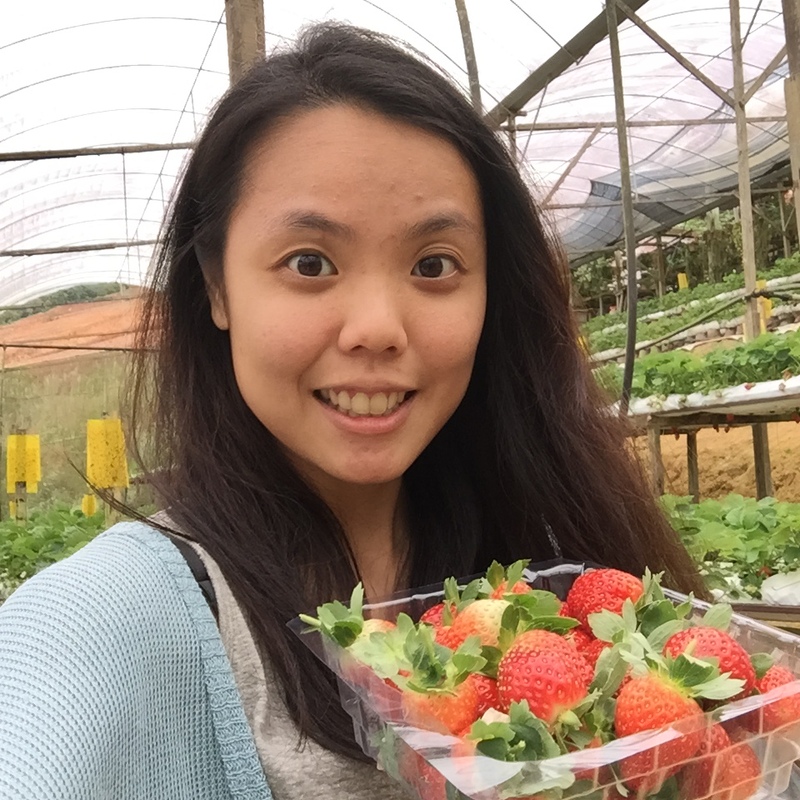 When in cameron highlands, you need to get strawberries for yourself and as souvenirs. We didn’t have the chance to go to morning market and night market to get fresh farmed goods. That is because we were so relaxed at our stay we didn’t want to get out from there. 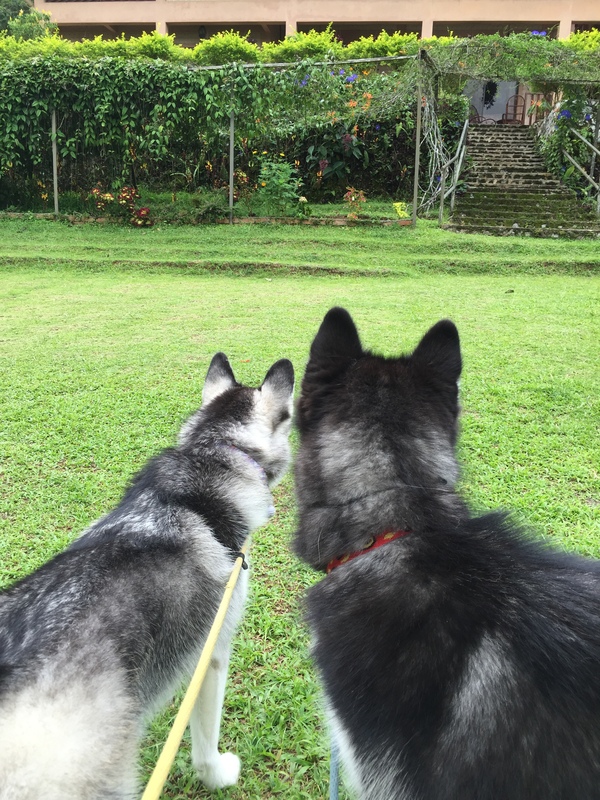 I mean, who would pay RM400 to not stay in a nice place where my doggies are happy running and exploring? 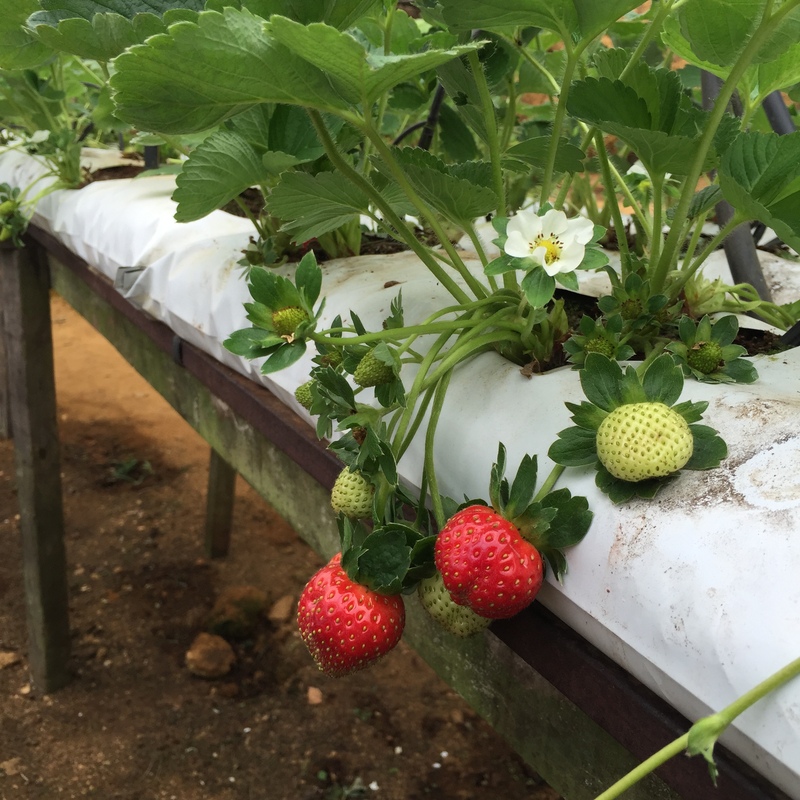 😛 Anyway, as we were on our way back to KL, we decided to stop at Ringlet for this Bee Farm where handpicked strawberries can be done too. They sell half KG at RM18. (I’m not sure that’s the market price)… but it’s fun picking strawberries of your own.. LOL. 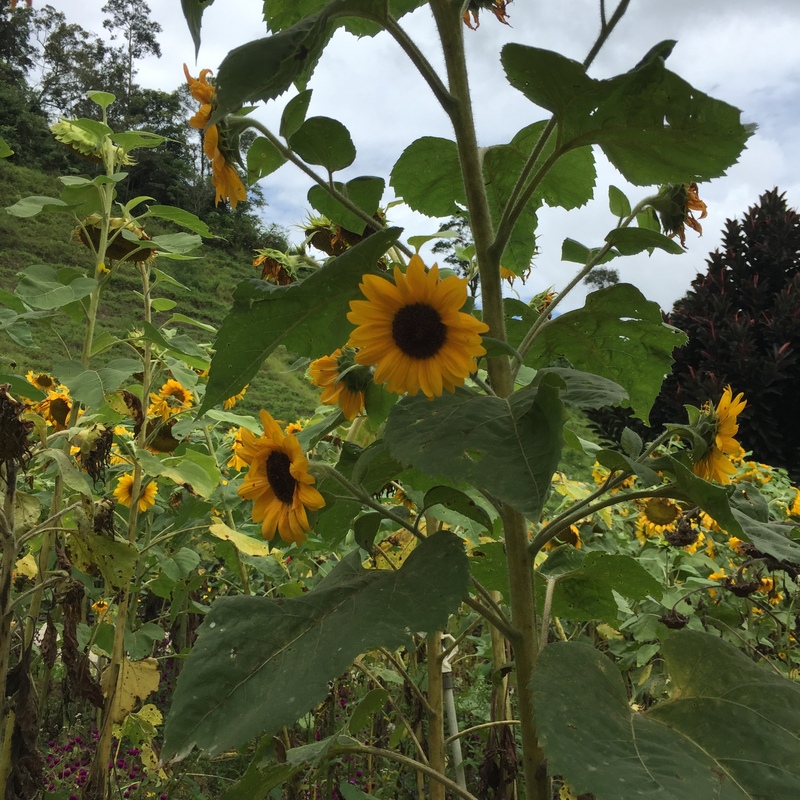 The place is pretty open and with some sunflowers. The owner has a dog too. So I assume they are dog friendly and yes they are after I asked the owner when I paid. I didn’t bring my monsters down because at that time there were a few strays roaming around which they got extremely excited, so I left them inside the car while i quickly picked strawberries. I would bring them along if there aren’t too excited. LOL. After a night stay, we head back home to KL. That ends our weekend getaway! Rainforest Inn (I previously called up before and it’s a forest stay on long houses. A pretty unique adventure for your pooch) You gotta take the deluxe room which you may call to for booking. Hi Thomas, apologies on the late reply. Unfortunately, i do not know anyone in cameron highlands. Hope he get adopted soon. Glad to contribute our experiences! 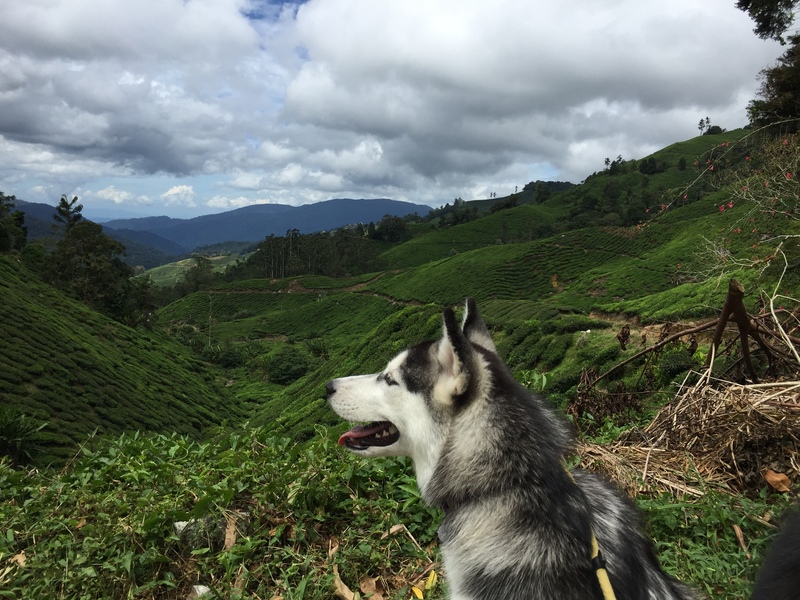 We’ve recently checked out another dog friendly place in seremban too! Stay tuned to my blog for more updates! 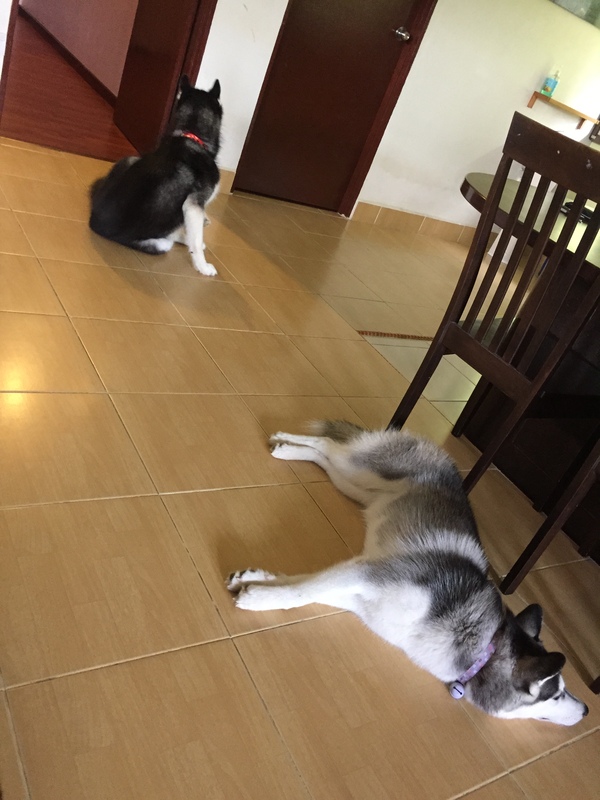 Hey there, we have a 1.5 year old husky and would really like to take him to Valley View Bungalow. He can’t be off leash and is super hyper active. Do you think it would be an issue? We really love to take him to enjoy some cooler weather. Also did you go up from Tapah or Simpang Pulai? 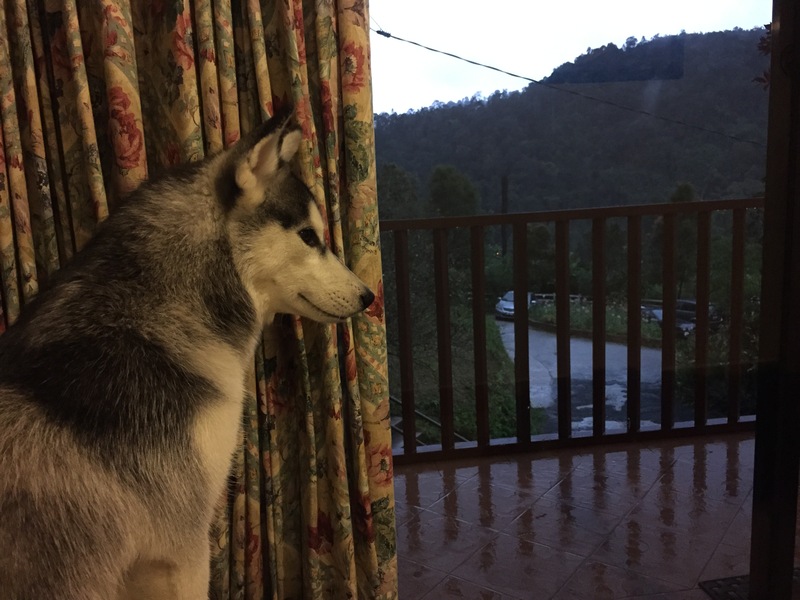 I am not sure if my Husky get car sickness or not. We have done 15-30 min trips but i think it is too short to tell.